Guys, I’ll cut straight to the point. 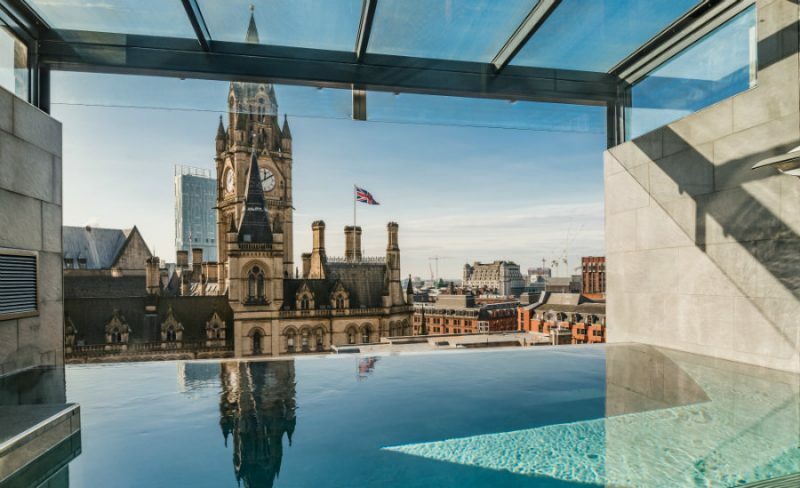 I’ve found the most stunning hotel in Manchester, hands down. And for those who read What Emma Did on the regular, you’ll know I’ve stayed in a lot of hotels. But my word, this particular one was absolutley beautiful, and my overnight stay here was just fantastic. So much so, that I filmed a few snippets of the hotel so that you all could sort-of take a mini tour with me. 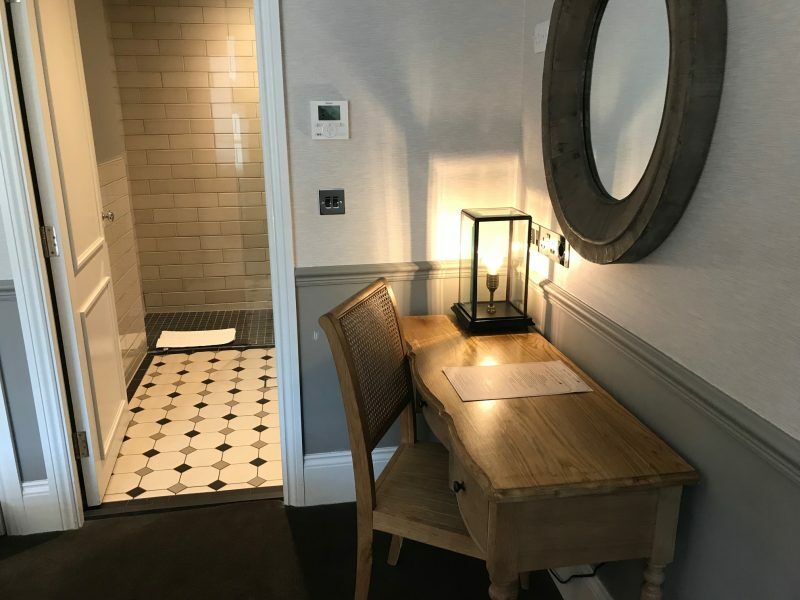 I also covered my review and thoughts of this hotel over at Lovin Manchester, in which you can see my write-up here. But for those who would rather stay on here and read more about it, then read on! When looking for a place to stay in Manchester, you may think the hotel market is over saturated. The streets are lined with hotels – both popular chains and unique independents – that the booking process can somewhat be a bit difficult. Like, where do you start? How do you know which one stands apart from the rest? 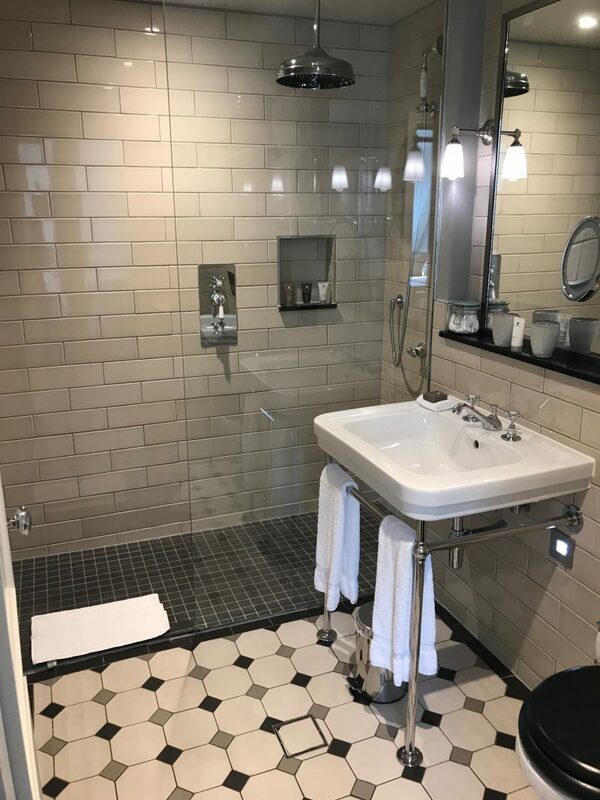 However, if you’re staying in a city so full of charm and character as Manchester, surely you want your hotel to reflect that? I certainly did when I was last looking for a city stop over. 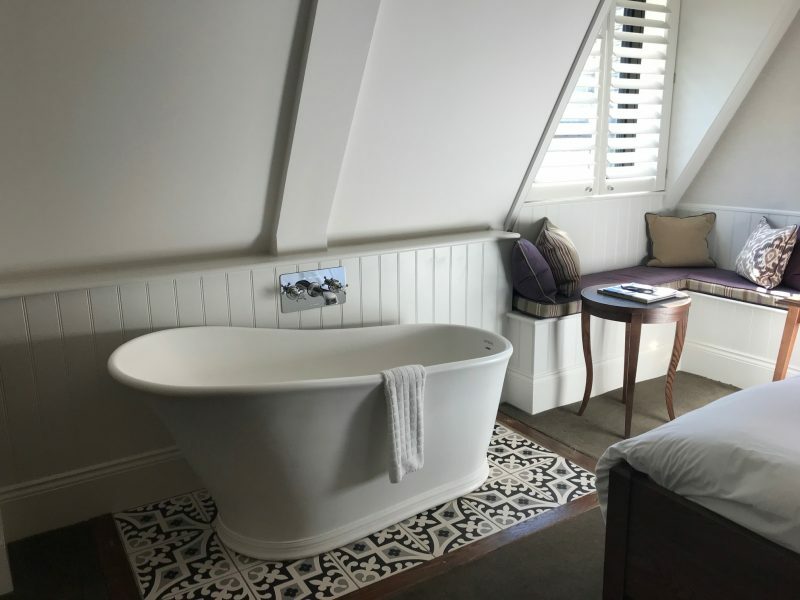 King Street Townhouse is one of those hotels which has always been on my ‘to visit’ list. 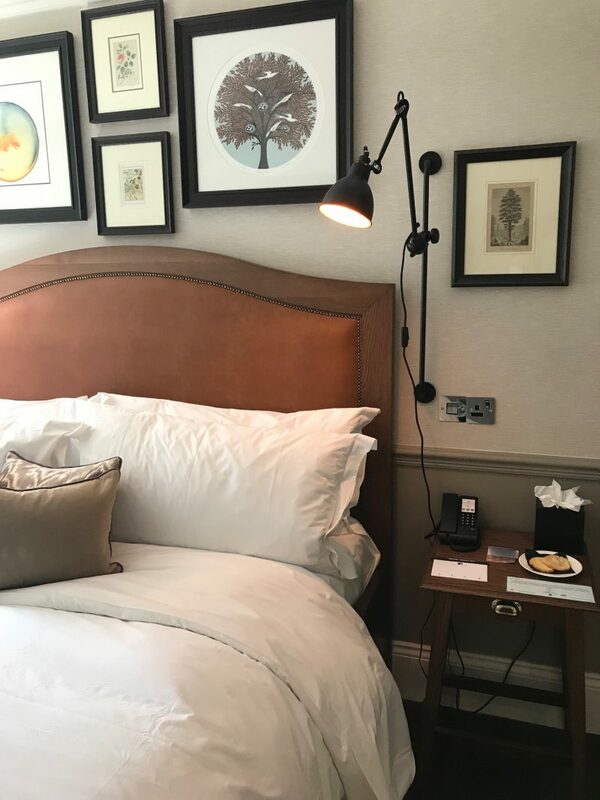 I’ve visited before for various press and blogger events in Manchester, in which I’ve spent a few hours at their private dining areas and event space, but I was yet to experience an overnight stay as a hotel guest. 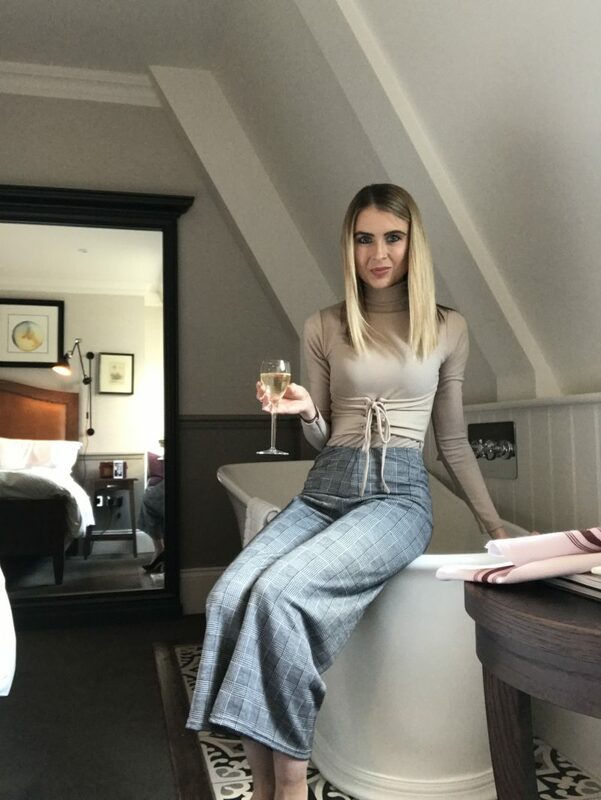 The night I booked in to stay, there was also a Martin Miller Gin event running at the hotel with a blogging network I’m part of. Great timing! It meant I could experience dining at the King Street Tavern, as well as check out the private event space for the exclusive event. So last Thursday evening, I got myself booked in at one of their ‘comfy rooms’. 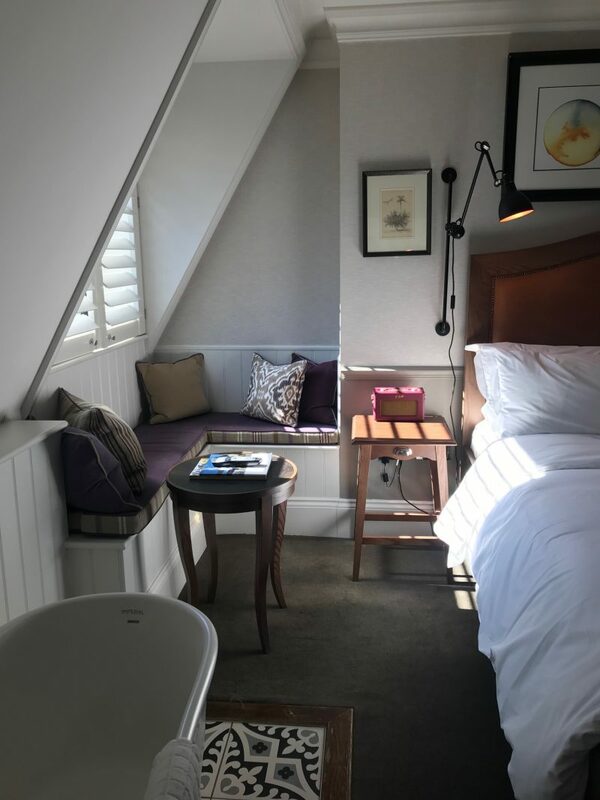 When I say ‘comfy’, I’m not just calling it that because it was extremely comfy (it really was – I threw myself onto the super king sized bed and literally sank into the goose down feather pillows and crisp white linen), they actually have a range of rooms, and mine fell into this category. 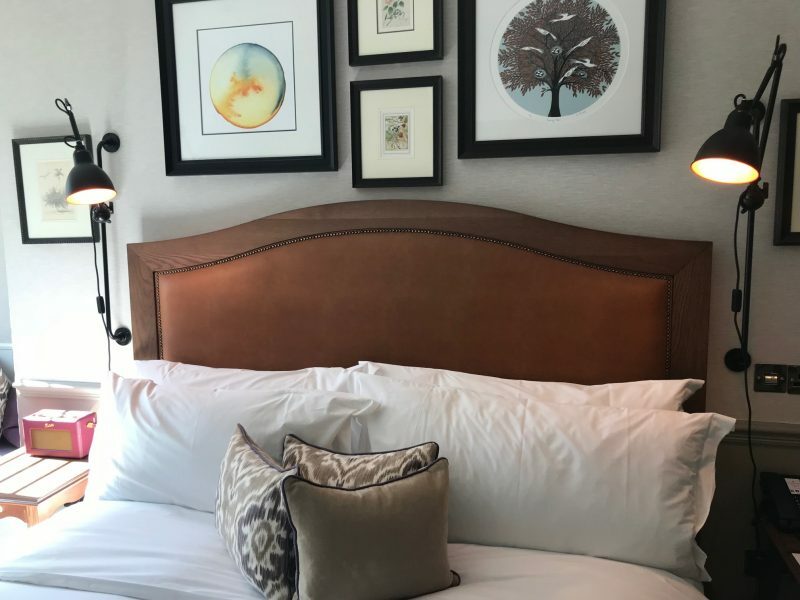 They say that at King Street Townhouse, all rooms are individual. So I can’t comment on the others, but mine was divine. 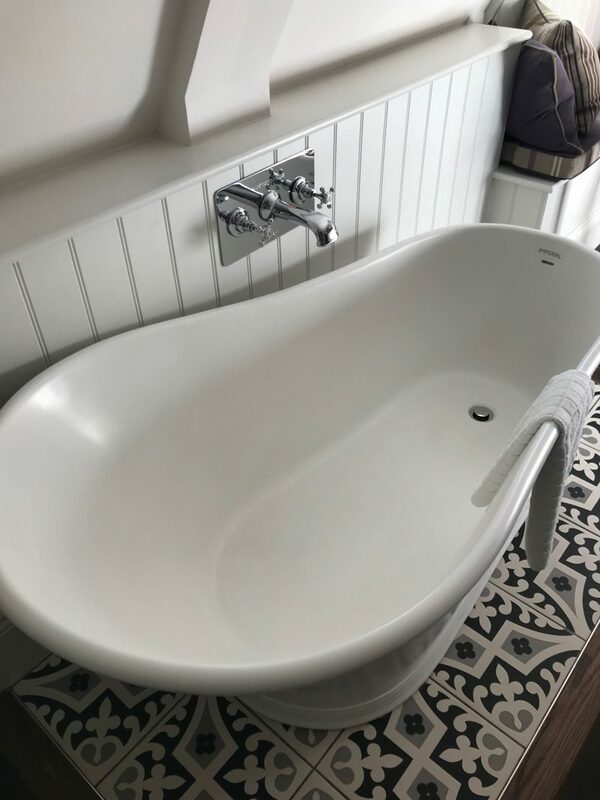 It took me about half an hour to decide whether to enjoy the huge walk through en-suite shower, with a sliding door to the bedroom, or to sink myself into the deep bath tub. I chose to do both, of course. 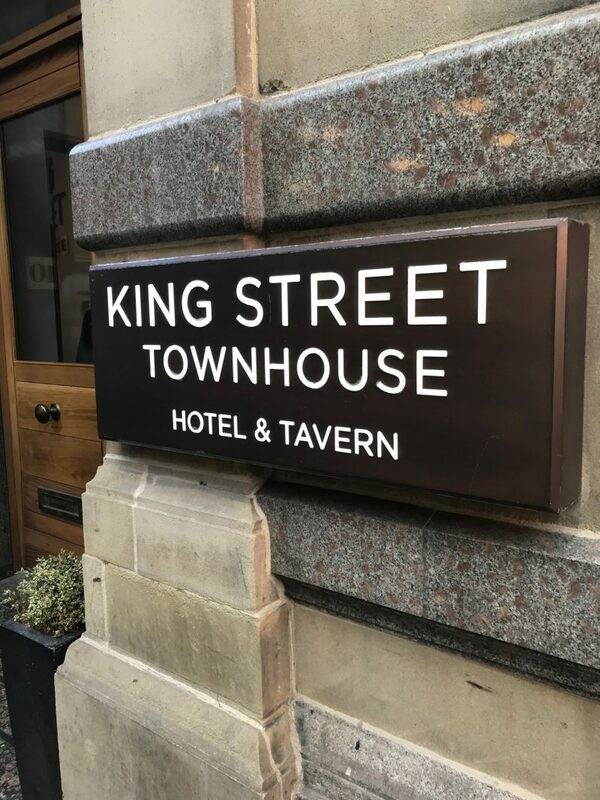 In case you’re not familiar with King Street Townhouse, it’s located within the upper King Street Conservation Area of Manchester city centre, in an impressive Italian renaissance building. It was originally built in 1872 for the Manchester Salford Trustees Bank. 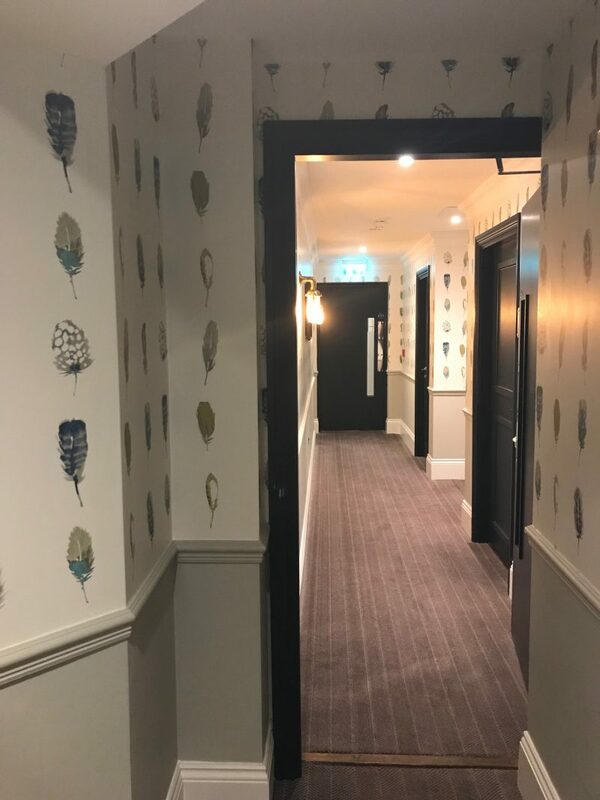 The designers have respectfully expanded on it’s historic features, and modernised to create an impressive baby grand hotel, neat and contemporary in every way. 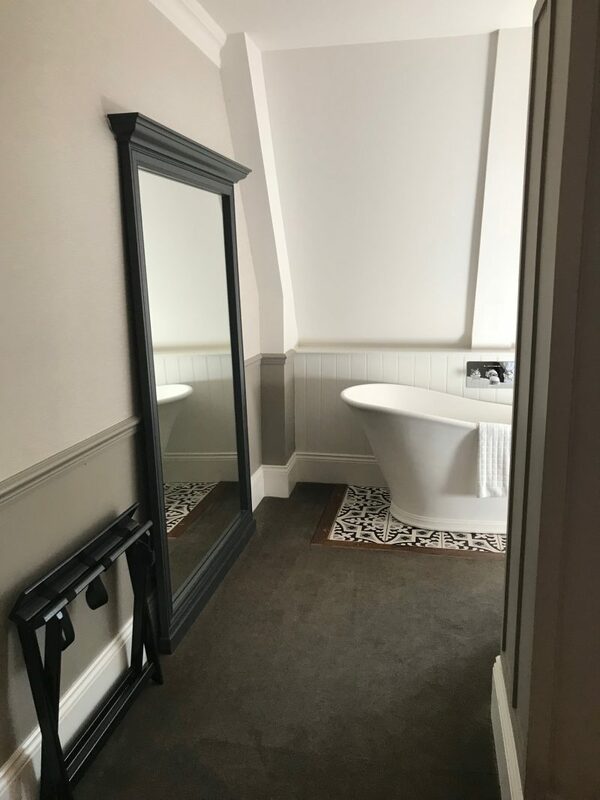 I felt like I was touring a mansion, and staying over in one of the rooms as a guest of honour. The hotel is also home to the King Street Tavern – it’s unique dining and bar area. I chose to dine in the eatery during my stay, for both dinner and breakfast, enjoying the prestigious red ‘private’ booths. I have to add in that the hotel team were absolutely amazing. From the moment I checked in, to the knocks at my hotel door to bring me some bottles of water because it was extremely hot outside, to the bottle of fizz that got delivered, I felt extremely looked after. 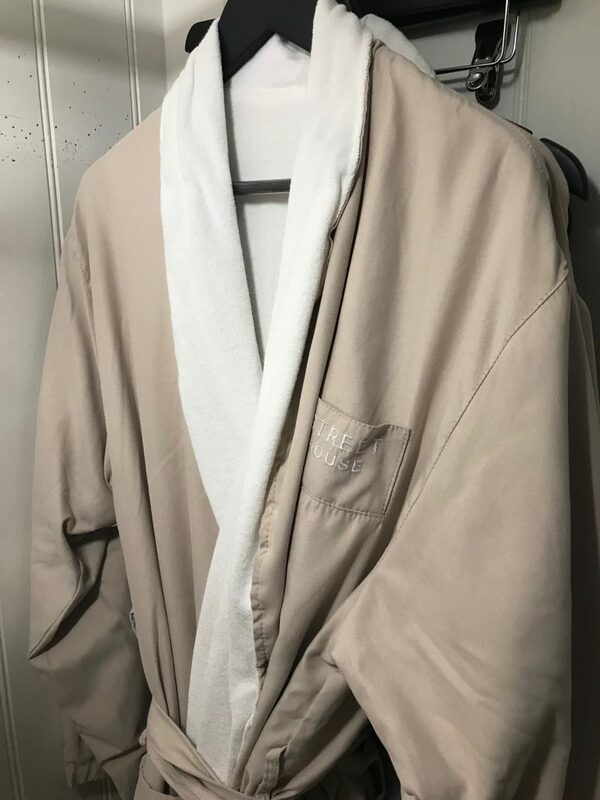 The long dressing gowns in the hotel were possibly the most luxurious gowns I’ve seen as a hotel guest, so I also wasted no time slipping into one and just relaxed in the gorgeous suit before getting myself ready for dinner, drinks, and a private event at the hotel. 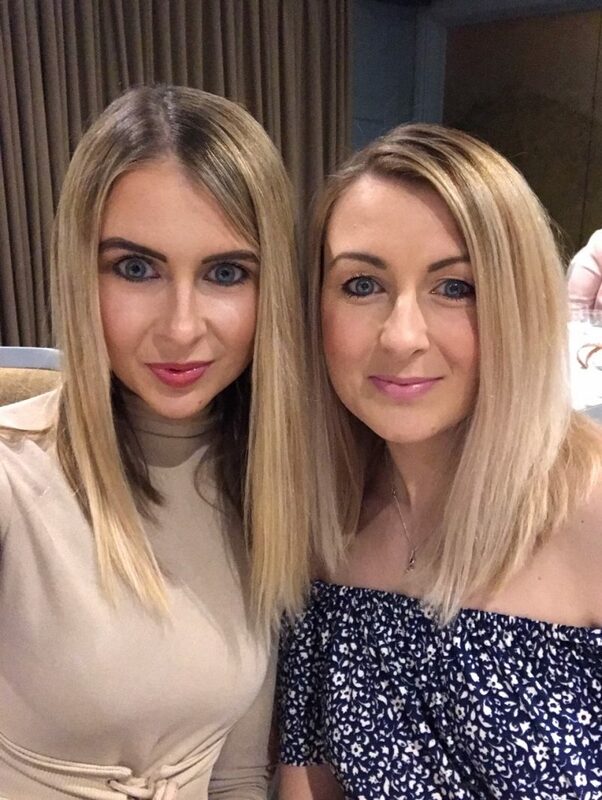 When it got to 7pm, myself and my guest, who happened to be my twin sister, sipped a few glasses of fizz before making our way down to the private event space for the Martin Miller’s Gin event. 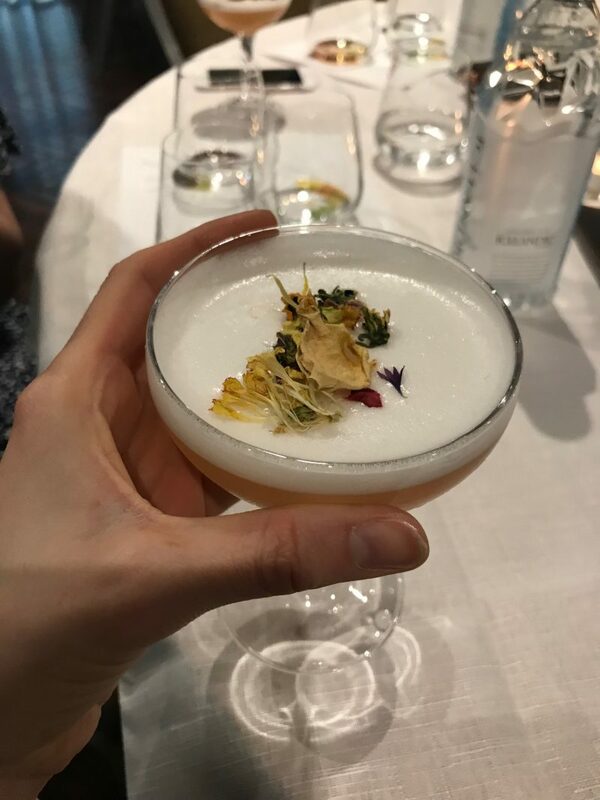 We had dinner booked at 8pm, so we spent an hour indulging in a bit of gin making and gin cocktail creating, before filling our bellies with food and surprise surprise, more cocktails from the loooooong cocktail menus we sifted through at the restaurant. Dining at the King Street Tavern was lovely and relaxed. We actually spent the rest of our evening there, and stayed in the bar area until around 11pm – the last ones there! The menu was extensive, as were the listings of fabulous cocktails. I opted for the fish and chips, which was an unexpectedly HUGE portion. The fish was a fair size, and the chips were those super chunky wedge style chips (just what I like – I hate receiving a plate full of fries). If you appreciate classic British cuisine, then it’s the menu for you. 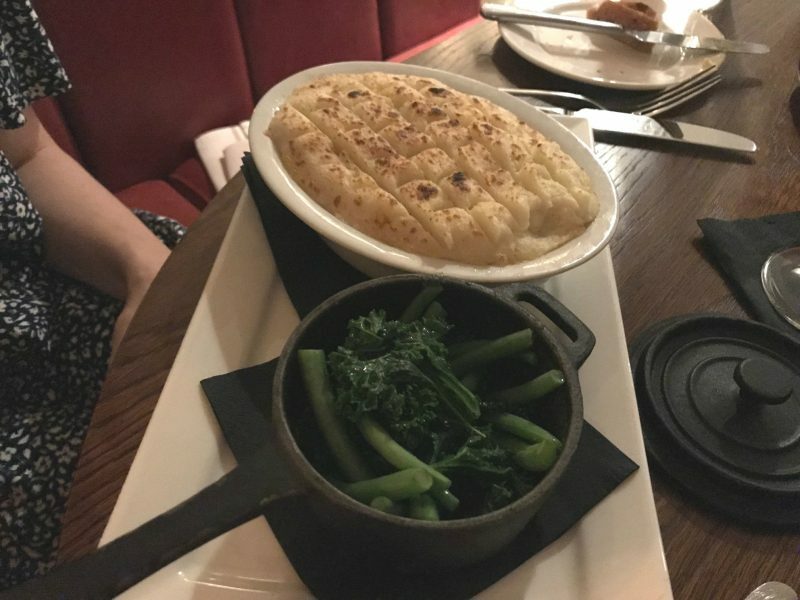 They offer all the traditional British and Northern plates, with my guest tucking into a rather delicious and red-hot Shepherds Pie. 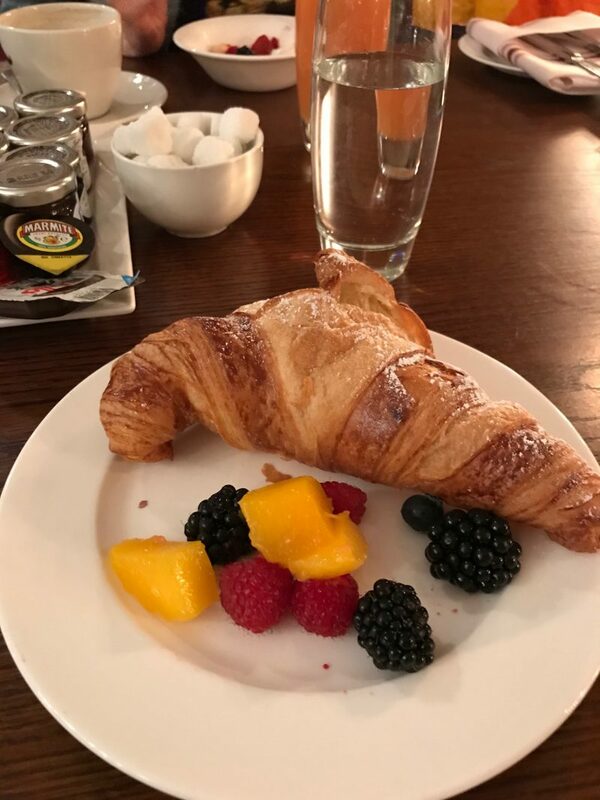 We returned to the restaurant area for breakfast the next day, in which I went for the Continental Breakfast, and chose to order the porridge with lots of toppings to go alongside. The hotel boasts 40 unique bedrooms & suites, and offers an all day dining bar, restaurant and lounge. 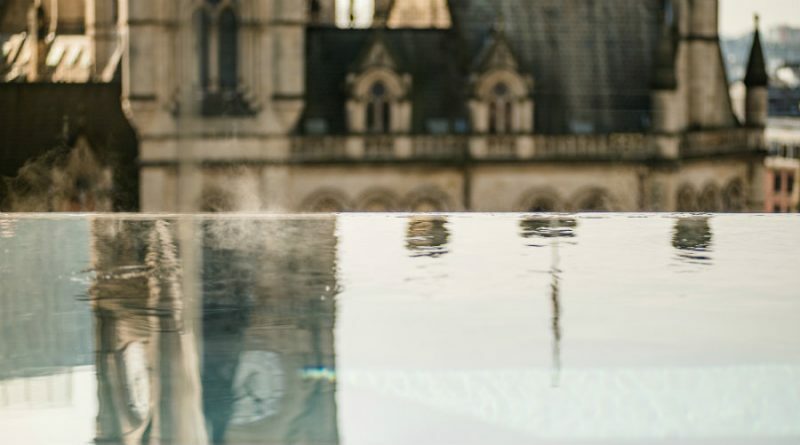 It’s also popular for it’s spa and pool area, with it’s south facing terrace and views of the Town Hall. Have you seen the array of Instagram photos from guests, gazing out at the views from the hotels infinity pool? I certainly had, and to see it in person didn’t disappoint. 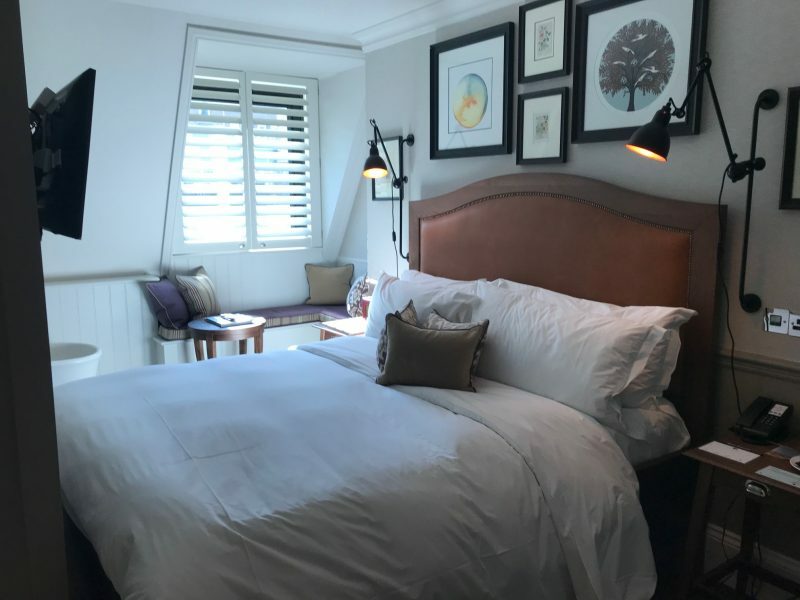 As well as a glamorous overnight stay, King Street Townhouse is growing in popularity for its meeting & event space offering, too. 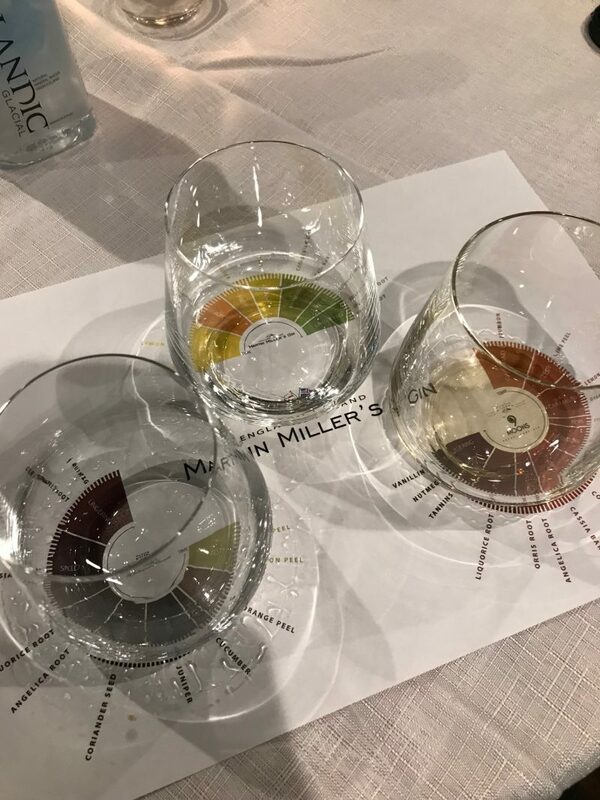 I actually attended a Martin Miller’s Gin night at one of the private event spaces, hosted in a classy and contemporary room complete with it’s own private bar. 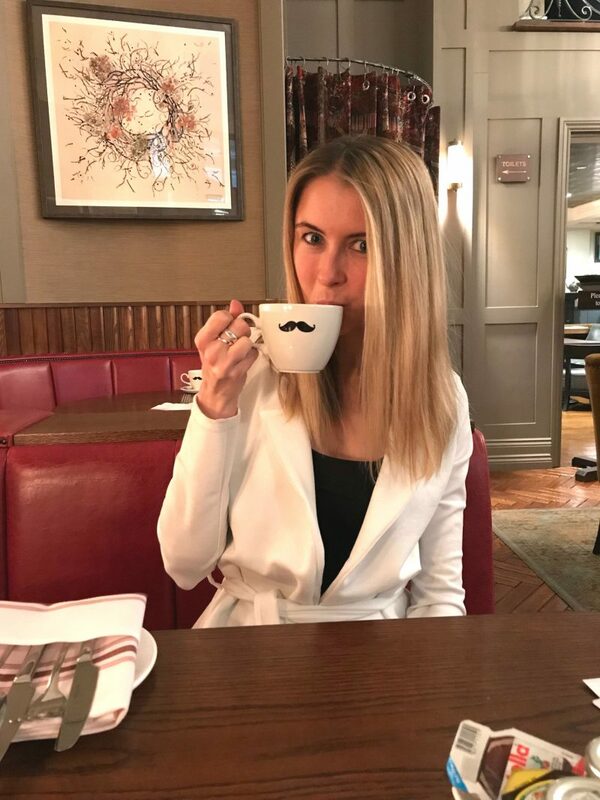 To give them something a little different to offer, I also discovered that King Street Townhouse is now home to The Cellars, a private dining area with a Screening Room and Wine Cellar. Guests who chose to visit The Cellars can reserve seats for the hotels exclusive Champagne Movie Nights, in this charming little ‘venue’. 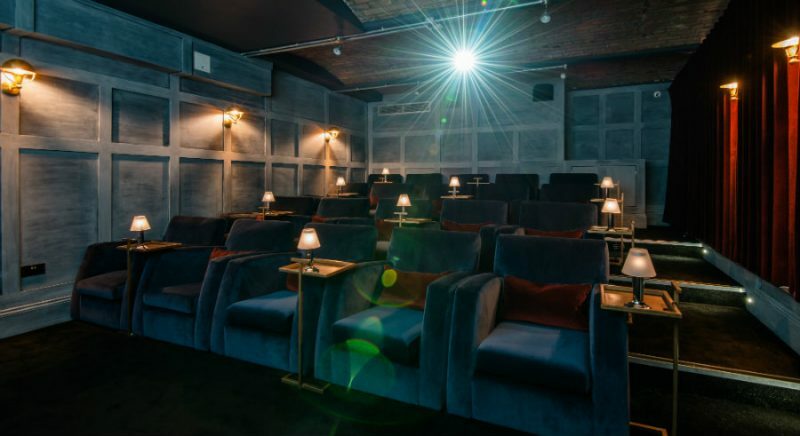 The cellars are set in a brand new luxurious screening room space, complete with a unique vaulted brick ceiling space. The impressive 20 seater room has a state of the art screen and sound system, sofa seating and ambient lighting, and is currently showcasing Champagne screening events throughout 2018. The first thing I thought of when I saw this was how incredible it would be for a team bonding night with work colleagues, a private birthday party, or a conference event where you want to encourage people to network, mingle, and have something ‘wow’ to talk about (which they would simply from just looking around this place!). All I can say is that I need to come back here and stay for another night. One evening just wasn’t enough. I’ve heard they host weddings at the hotel too, and I can totally see why. 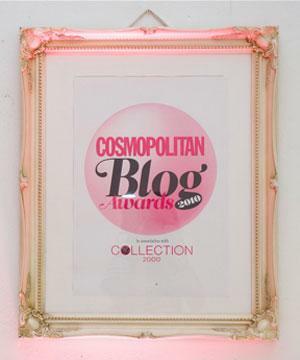 You’ve got the glamour, the elegance and the sophistication all in one place in a great location. But more importantly, it’s completely unique. You can find out more information about this stunning hotel here. And whilst I have your attention (if I still do by now!) 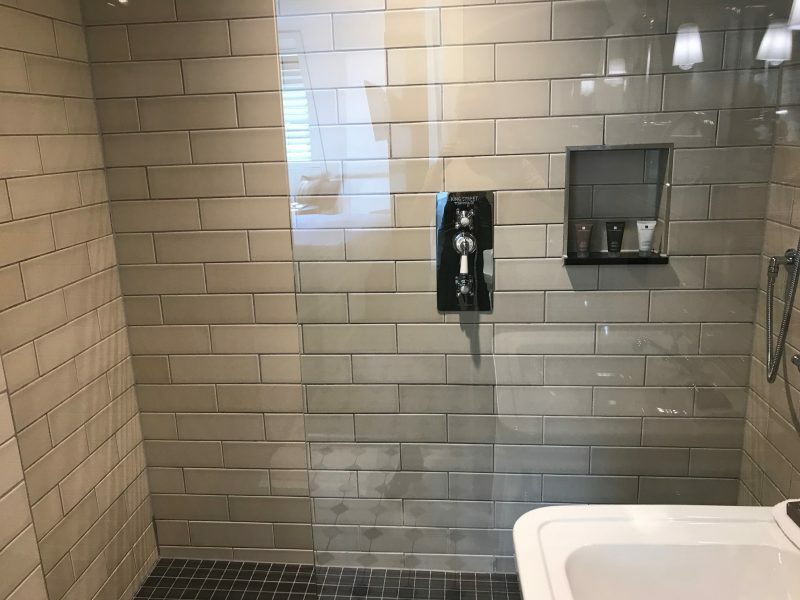 why not subscribe to my YouTube channel so you can keep up to date with my other reviews and experiences in and around Manchester…? 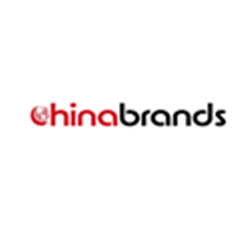 Join me here!